Armorcast Polymer Concrete, Fiberglass and Rotocast products compared to conventional material; Concrete, Wood, Steel etc..
All Covers that are exposed to foot traffic have a slip resistant surface with a minimum coefficient of friction of 0.60 under wet or dry conditions. Armorcast Products Company slip resistance covers meet the American with Disabilities Act slip resistance requirements. 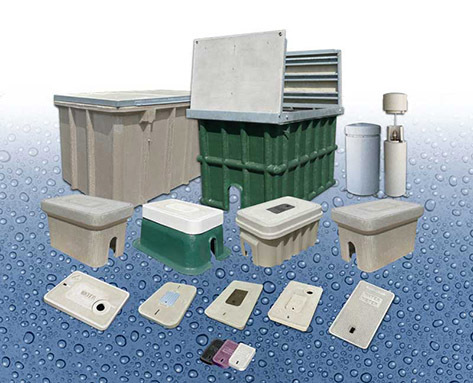 The Armorcast Products Company line of Polymer Concrete and Fiberglass Boxes and Vaults are designed to provide maximum strength and durability. Lighter weight than traditional concrete, they are easily installed and provide superior strength and longevity. Meet all WUC and SCTE / ANSI 77 specifications.